Pity the poor Fantastic Four, as those characters – the group that launched Marvel Comics’ 1960s renaissance – can’t get a break on the big screen. The FF’s first attempt at a movie adaptation came in 1994 – sort of. Apparently filmmakers never intended to release that year’s Fantastic Four; instead, they made it solely to allow them to keep the rights to the property. 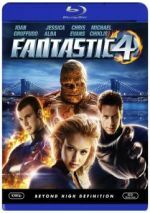 2005’s Fantastic Four actually did pretty well at the box office, but genre fans didn’t seem all that pleased with it. The 2005 film spawned a 2007 sequel that underperformed at the box office, and the franchise went dormant again. Until 2015, when the FF got a big-budget reboot – one that did so poorly it made the 2005 film’s reception look rapturous. With a budget of $120 million, 2015’s Fantastic Four mustered a poor $56 million in the US and received horrible reviews. I’m sure the FF will get another chance at big screen stardom again someday, but I suspect it’ll take a while – the stench attached to the 2015 version will need time to dissipate. The big question: does it deserve so much animosity? No, I don’t think so. 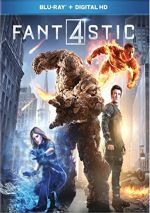 While I won’t call the 2015 Fantastic Four a classic superhero film, I think it works much better than its reputation indicates. During a prologue set in 2007, we meet Reed Richards (Owen Judge), a young genius who believes he can create a device to teleport across dimensions. His teacher (Dan Castellaneta) and most of the kids laugh at Reed, but tough Ben Grimm (Evan Hannemann) befriends him. Reed uses objects from the junkyard run by Ben’s family and appears to make inroads as far as his invention goes. From there we jump to 2014 to see high school versions of Reed (Miles Teller) and Ben (Jamie Bell). Reed showcases a more mature version of his device at a science fair. When his demonstration goes slightly awry, he gets disqualified, but brilliant scientist Dr. Franklin Storm (Reg E. Cathey) sees Reed’s potential and recruits him to work at an advanced lab called the Baxter Foundation. While Reed pursues his goals, he gets to know Storm’s gifted children Sue (Kate Mara) and Johnny (Michael B. Jordan). Reed also forms a competition with another scientist, the brilliant but volatile Victor Von Doom (Toby Kebbell). All of this ultimately leads to a use of Reed’s device that brings about radical transformations in all involved. When Fantastic Four hit screens in summer 2015, I waited a few weeks to see it, largely due to all the negativity attached to it. I knew it was getting savage reviews but I didn't read any of them in advance - I was just aware it was supposed to be terrible. When I finally did view the film, I settled into my chair and thought the intro went nicely. I liked the look at young Reed and Ben and felt the movie let us know about them pretty well. But the movie had to go into the crapper soon, right? We then move to High School Reed and Ben. Okay, it stretches credulity to ask us to accept actors in their late 20s as high schoolers, but these moments advance the plot well enough and introduce new characters in a satisfying way. We're a good half an hour into a 100-minute movie - the crummy part's gotta hit soon, right? Nope - and for this viewer, it never did. By no stretch of the imagination will I call Four a great comic book movie, but for the life of me, I don't get the dominance of the negative reviews. I think Four offers an entertaining and well-told origin story. Does it take too long to get to the action? Probably, but that's the nature of the origin story beast, and FF movies become even more difficult to tell in an efficient manner due to the size of the cast. A Spider-Man or Batman movie just needs to set up the backstory for one lead character - FF movies need to do it for four. Sure, the origin of their powers is one plot point, but we still need time to flesh out the lives of the four "normal characters" as well as Victor. As I recall, the 2005 Four took forever to get to the action, and when the fight did arrive, I was so bored that I didn't care. That didn't occur with the 2015 film. While I'd have liked a little more action before the climax, I think the finale works well and becomes nearly rousing. At least I felt excited at times during this film - that emotion never threatened to manifest itself during the 2005 flick. Does the 2015 Four have flaws? Sure, mainly because it requires the characters to act like morons a little too much of the time. They engage in some rampantly stupid behavior that exists solely to move along the plot, and the tale even steals a major plot device from the 1986 version of The Fly. But many movies of this sort suffer from a lack of logic, so I won't slam Four for the same cinematic "sin". Does the film seem "dark" for the FF? Yup, but I think the tone works for the story. In 2013’s Man of Steel, the somber, serious feel just doesn't connect to Superman - it seems forced and self-conscious. The same is true for the Amazing Spider-Man flicks - they seem gloomy for no logical reason. In Four, I think the darkness functions just fine. This works as an alternate version of the characters and I think it develops matters well. I guess I'm in a significant minority, but I really enjoyed 2015’s Fantastic Four. Through the whole movie, I kept waiting for it to go south, and it never did. I'm disappointed we won't get a sequel, as I'd like to see where this interpretation of the characters would go. Fantastic Four appears in an aspect ratio of approximately 2.39:1 on this Blu-ray Disc. The movie brought us a nice transfer. At almost all times, sharpness seemed solid. Only minor softness ever appeared, and those instances stayed infrequent. Otherwise, this was a tight, well-defined image. No issues with shimmering or jaggies occurred, and I saw no edge haloes or digital problems. Print flaws also failed to mar the presentation. Where would Hollywood be without orange and teal? I don’t know – I’m so beaten down by those color choices that I can’t remember movies without them. Fantastic Four used these hues and they looked fine, predictable as they might be. Blacks were tight and dark, and low-light shots displayed positive delineation. Everything here worked well. In addition, the movie’s DTS-HD MA 7.1 soundtrack fired on all cylinders. With a fair amount of action, the soundscape boasted plenty of auditory excitement, and the mix exploited those opportunities well. Action and mayhem emanated from all the speakers and combined to create a lively, involving sense of place. All of this ensured a vivid sonic impression. Audio quality satisfied. Music was rich and full, and speech sounded natural and concise. Effects provided accurate, dynamic elements without distortion. I felt pleased with this engaging soundtrack. A handful of extras round out the disc. Powering Up: Superpowers of the Fantastic Four runs 19 minutes, 36 seconds and offers comments from director/screenwriter Josh Trank, producer Hutch Parker, visual effects production supervisor Adam LaGattuta, visual effects producer Cari Thomas, producer/screenwriter Simon Kinberg, costume designer George L. Little, director of photography Matthew Jensen, concept artist Keith Christensen, and actors Miles Teller, Kate Mara, Michael B> Jordan, Toby Kebbell and Jamie Bell. The featurette examines the characters’ powers and their depiction in the film. “Powering Up” offers a surprising amount of detail and manages to give us a rich take on choices and techniques used for the film. During the 10-minute, 50-second The Quantum Gates, we hear from Kinberg, Teller, Trank, Parker, LaGattuta, Bell, Thomas, Jordan, Mara, production designer Chris Seagers, property master Andrew M. Siegel, and actors Owen Judge, Evan Hannemann and Tim Blake Nelson. As implied by the title, this program digs into the “Quantum Gates” that feature so prominently in the film as well as some other production choices. Though not quite as interesting as “Powering Up”, “Gates” still delivers a good batch of details. Planet Zero lasts eight minutes, 19 second and involves Trank, Kinberg, Parker, Bell, Jordan, LaGattuta, Teller, Jensen, Seagers, Kebbell, and Thomas. This piece follows in its predecessors’ footsteps as it gives us info about the design and execution of Planet Zero. It brings us another informative piece. Finally, The Score goes for five minutes, three seconds and includes notes from Trank and co-composer Marco Beltrami. As expected, we learn about the movie’s music. It’s the weakest of the featurettes, but it offers decent basics. We also get Concept Art. These look at “Planet Zero” (25 shots) and “Quantum Gates” (22). Both offer some good images. The disc opens with ads for Victor Frankenstein, Hitman: Agent 47 and Maze Runner: The Scorch Trials. Sneak Peek adds promos for The Martian and The Transporter Refueled. No trailer for Fantastic Four appears here. Much-maligned, Fantastic Four offers a substantially stronger film than all those bad reviews indicate. While not a great superhero adventure, I think it works pretty well and delivers good entertainment. The Blu-ray presents positive picture and audio along with a modest roster of bonus features. Apparently many others disagree, but I think Fanastic Four presents a mostly enjoyable experience.